Vitus graduated with a bachelor degree in Chemistry at the University of London in 1985. In 1989, he obtained his doctorate degree in Biomaterials and Computational Chemistry at the University of Hong Kong. In 1994, he qualified as a chartered chemist and member of the Royal Society of Chemistry. In 1998, he passed the Hong Kong Common Professional Examination Certificate in Law, and in 1999 the PCLL examination of the University of Hong Kong. He was admitted as a solicitor in Hong Kong in 2001. Since 2009 he became qualified as a mediator of various mediation accreditation authorities in Hong Kong. He is also the principal partner of Leung, Tam & Wong Solicitors. Vitus is renounced in his contribution to the education sector. In 2012, he was appointed a honorary professor of School of Business and Hospitality Management and board of governor of the Caritas Bianchi College of Careers and Caritas Institute of Higher Education. In 2013, he was appointed as a school management committee member of the Shau Kei Wan East Government Secondary School. During the period of 2016 to 2018, he was appointed as honorary associate professor of the University of Hong Kong. In respect of public duties in Hong Kong, Vitus is the assessment panel member of Social Workers Registration Board since 2011. In 2013, he was appointed by Hospital Authority as a member of the council of chairman of hospital governing committees and advisory committee of Hong Kong Island hospitals. In 2014, he was appointed a Justice of the Peace in Hong Kong. In 2016，he taught in the Bachelor of Nursing programme of the Nethersole School of Nursing CUHK as a part-time lecturer. In 2018, he was also appointed by Hospital Authority as the chairman of its public relations subcommittee. For social services in Hong Kong, Vitus contributes to the society in 3 major areas: professional development, health issues and youth development. For legal professions, he serve as a member of the personal injury committee in the Law Society of Hong Kong. He is also a council member of the Hong Kong Forensic Science Society; In addition, Vitus holds senior positions in various Western and Chinese medicine organizations and other groups. 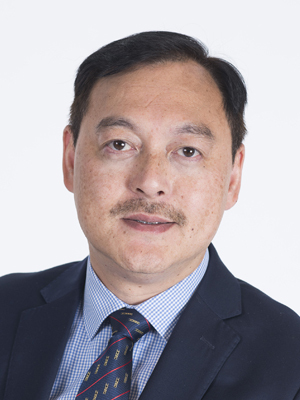 He is currently the chairman or member of a number of medical institution governance committees, including the Ruttonjee Hospital, the Tang Shiu Kin Hospital, the Grantham Hospital, the Caritas Medical Centre and the Hong Kong Tuberculosis Chest and Heart Diseases Association. He is also the Deputy Commissioner (Cadets) of Auxiliary Medical Service, a Patron of Caritas Hong Kong, a member of the advisory panel of the Hong Kong Medicine Specialty Development Working Group, an executive committee member and honorary secretary of the Society for the Aid and Rehabilitation of Drug Abusers, a vice chairman of the Association of Hong Kong Professionals, a HKU Convenor of the Wofoo Leaders’ Network, an Honorary President of the Wanchai and Central & Western District Industries and Commerce Association, and the Chair of Stewardship Sub-Committee of the Rotary International District 3450. Apart from that, he also devotes himself to over 50 NGOs as their legal advisor. For youth development, he is the honorary chairman of the Hong Kong United Youth Association. In March 2019, Vitus was appointed as a Consultant of the Foundation.